The Bluff township has a Community Board to help promote and enhance the area for residents and visitors alike. Examples include the Bluff redevelopment project (opened in December 2008) and the Bluff Community Board Bursary. The Council’s Bluff Service Centre at 16 Gore Street deals with Council payments as well as Lotto, Post Shop and library services. The Bluff Community Board meetings are held at the Municipal Chamber. The 2013 Census put Bluff’s population at 1791. 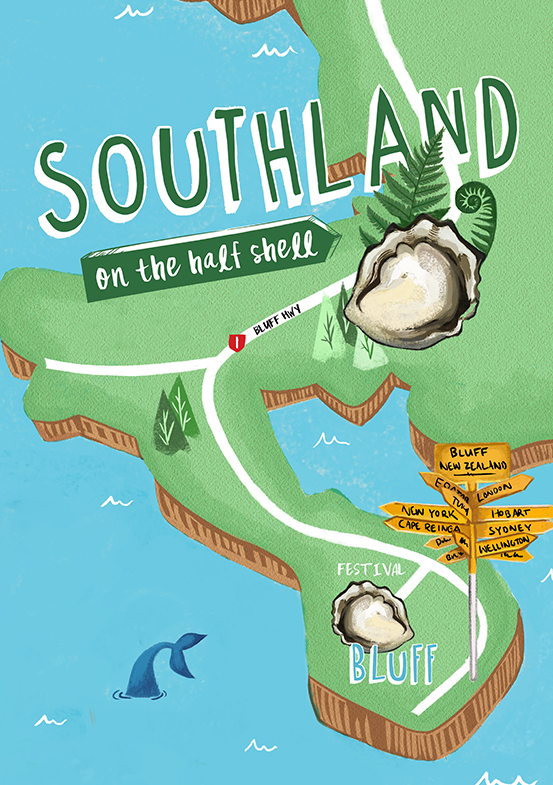 Download your very own copy of Southland on the half shell! 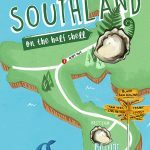 The booklet has got just about everything – including recipes featuring the best delicacy in the world – the scrumptious Bluff oyster. The new Stirling Point sign was installed on a stormy evening in November 2018. The old sign, which was a little the worse for wear, had to be replaced after it was discovered some of the blades were not correctly positioned. It was also an opportunity to update the sign by adding a blade pointing to Invercargill’s sister city Suqian, China. The new sign was made by local business Bluff Engineering. 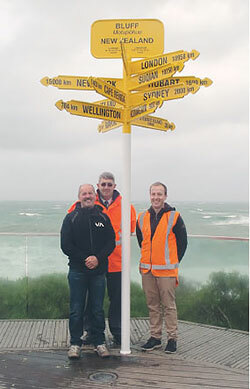 Pictured from left are Bluff Community Board Chairman Ray Fife, Invercargill City Council Roading Manager Russell Pearson and Council staff member David McCormick.